This data set provides total vertical column O2, CO2, CH4, CO, and H2O, as well as dry-air columns of CO2, CH4, CO, and H2O from airborne campaigns over the Alaskan and Canadian Arctic for the Carbon in Arctic Reservoirs Vulnerability Experiment (CARVE). The data represent the Level 2 Quick Retrieval (L2QR) data product collected using the CARVE Fourier Transform Spectrometer (FTS). Flight campaigns took place from 2012 to 2015 between the months of March and November to enable investigation of both seasonal and inter-annual variability in atmospheric gas content. The measurements included in this data set are crucial for understanding changes in Arctic carbon cycling and the potential threats posed by thawing of Arctic permafrost. There are 172 files in NetCDF file format (*.nc) included in this data set. There are also 172 *.zip files included as supporting information. These zip files contain quick-look plots (48 *.png files per zip) corresponding to each netcdf file. Figure 1. Total column CH4 retrievals from a CARVE flight on May 23, 2012, flying north from Fairbanks over the North Slope to Barrow. There are 172 files in NetCDF file format (*.nc) included in this data set. There are also 172 *.zip files included as supporting or companion files. These zip files contain quick-look plots (48 *.png per zip) corresponding to each netcdf file. All science data are stored in NetCDF (*.nc) version 4 file format. Each file provides total vertical column measurements of CO2, CO, CH4, H2O, and O2 as well as dry air column measurements of CO2, CO, CH4, and H2O acquired during a single flight. Total vertical column is defined as vertical molecular column density integrated between surface and top-of-atmosphere at the location of the aircraft. The data product also includes geolocation information, retrieval diagnostics, and auxiliary data for improved quality control. The reported total and dry-air column values for all gases are still preliminary. They are as yet unvalidated and should be used with extreme caution in science investigations. Missing values are set to -9.9E30. Each file contains 5 variable groups: geolocation, science_products, retrieval_diagnostic, dads, and auxiliary_data. Each variable contains data formatted to fit one of 11 dimensions listed in Table 2. The variables contained within each variable group are described in Tables 3 to 7. Note: Quality flag variables (qfl_*) indicate whether a value is missing (-1), good (0), suspect (1), or bad (2). See Table 8 for additional information. Note: Retrieval diagnostics layers are provided for multiple gases and derivation bands. CO2 and CH4 are being derived independently from two different bands of the CARVE FTS- Band 2, the weak CO2 band (wco2) around 1.6 μm, and Band 3, the strong CO2 band (sco2) around 2.3 μm. For symmetry, data fields related to O2, which is observed oxygen A band, have been appended with “abo2”. Note: “<gas>” indicates any gaseous absorber considered during the retrieval. While retrievals in the O2 A band include only O2 as an absorber, the other gas retrievals include multiple absorbers for the following list: CO2, CH4, H2O, HDO, and CO. For details consult the variable entries in the particular sub-groups. There are 172 *.zip files, with one file corresponding to each netcdf file, included with this data set as supporting information. These zip files follow the same file-naming convention as the netcdf data. The zip files contain quick-look plots (48 *.png per zip) plus a readme file explaining the png data plots. 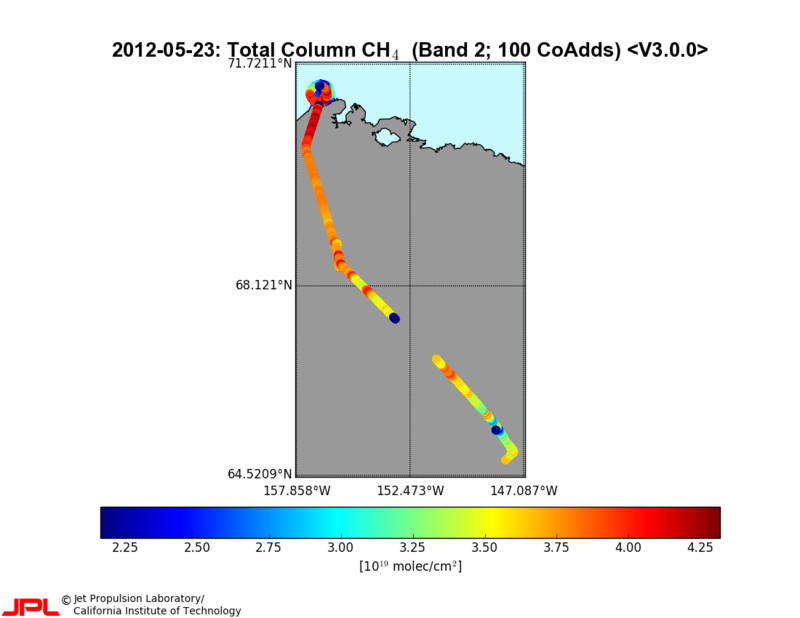 The image in Figure 1 is an example of a quick-look plot for the flight on 20120523. The carbon budget of Arctic ecosystems is not known with confidence because fundamental elements of this complex system are poorly quantified. 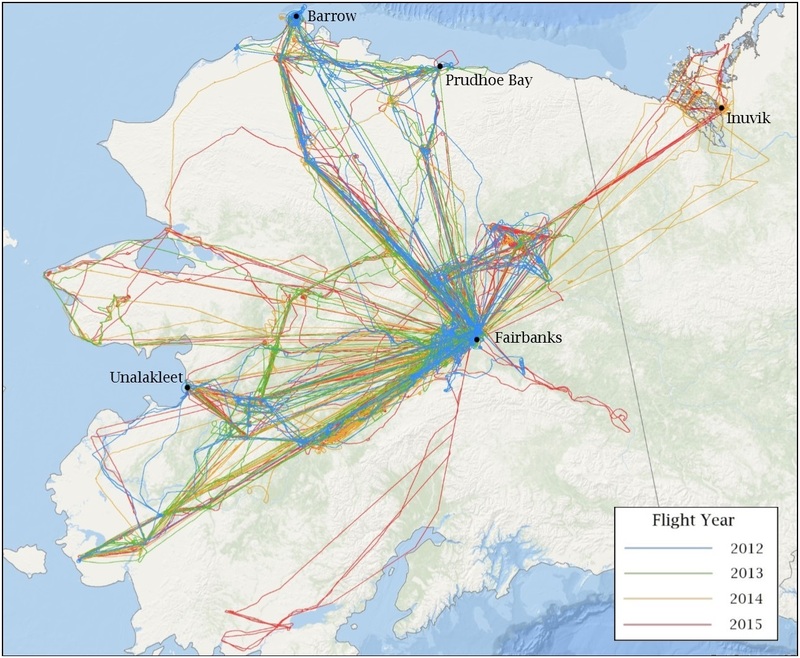 The CARVE project was designed to collect detailed measurements of important greenhouse gases on local to regional scales in the Alaskan Arctic and demonstrate new remote sensing and improved modeling capabilities to quantify Arctic carbon fluxes and carbon cycle-climate processes. The CARVE data provide insights into carbon cycling that may be useful in numerous applications. Each NetCDF file contains a global attribute MasterQualityFlag that provides a summary indication of the data quality level of the whole file. Its values are set to either good or suspect. Error estimates for total column and dry-air column computations are detailed further in Section 5 below. Global attributes PercentBadObservations, PercentGoodObservations, PercentMissingObservations, and PercentSuspectObservations indicate the percentage of data for which each quality flag is assigned. i. Spectra with low SNR generally produce noisy, i.e., highly uncertain retrievals. Thus, FTS SNR values are used to screen for low-signal values. Any measurement below the minimum threshold - currently set to 20 - is flagged as bad. 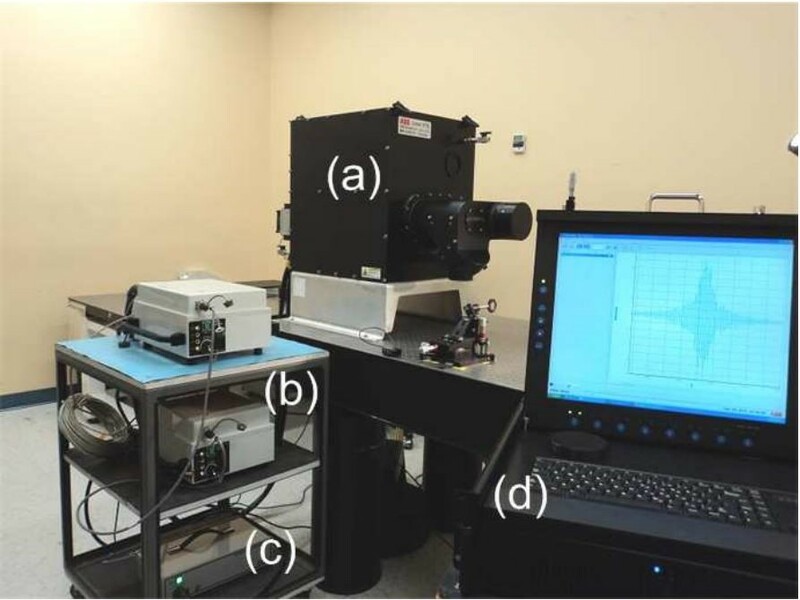 Since the FTS is not yet radiometrically calibrated, the SNR are used as proxy for scene illumination and overall radiometric information content. ii. Negative values for total columns are bad. Thresholds for relative fitting uncertainty are listed in Table 9.
iii. Relative fitting uncertainty is used to distinguish suspect from good retrievals. For each product, relative fitting uncertainty is checked against a pre-set maximum. If the threshold is exceeded, the corresponding total column value is flagged suspect. iv. For quality assurance purposes, the physically acceptable range of XCO2 is considered 370-430 ppm, and that of XCH4 1700-2200 ppb. Values outside those ranges are considered suspect. Similar assessments are not performed for XCO and XH2O, due to the highly variable nature of those species. Dry-air column products inherit the lowest-quality flag from the total column values that go into their computation. If at least one of the total columns is flagged suspect or bad, the resulting dry-air column will be flagged suspect or bad by default. Relative fitting uncertainties are above threshold specified in Table 9. The FTS Level 2 products are derived from all three bands: Band 1 provides the O2 observations that are used in the computation of dry-air columns, as well as fluorescence (not part of the current release); Band 2 is used for retrievals of CO2, CH4, and H2O; and Band 3 is used for observations of CO, as well as a second set of products for CO2 and CH4. The CARVE FTS has a 10 degree field of view, which makes across-track coverage dependent on flight altitude. The current release of the FTS Level 2 data products do not contain information on ground footprint. A data field with this information will be added to future releases. Both CO2 and CH4 are being derived independently from two different bands of the CARVE FTS – Band 2, also referred to as the weak CO2 band (wco2) around 1.6 μm, and Band 3, the strong CO2 band (sco2) around 2.3 μm. The field names in the data file have been appended with “wco2” and “sco2” in order to distinguish the same molecule product derived from bands 2 and 3. This has been done even in the cases of CO and H2O, where no ambiguity exists. For symmetry, data fields related to O2, which is observed in the oxygen A band, have been appended with “abo2”. Several fields in the geolocation and auxiliary_data groups come in two sets, one of which contains “1s” at the end of the field names. These are the 1-second interval data mentioned above. They have been included in the data product for diagnostic purposes. Particularly the information on surface elevation at 1s temporal resolution (in geolocation), together with the list of 1s observations that went into each co-added retrieval (idx_coadded_spectra in the auxiliary_data group) may be helpful for enhanced quality assessment. The dads group contains latitude, longitude, and flight altitude information for the entire time the CARVE computer system on-board the aircraft was switched on. This includes the taxiing periods prior to take-off and after touch-down. While the variables in the geolocation group only provide information for periods when the FTS was in operation, the dads variables cover the full extent of the flight. Column retrievals are based on the TCCON GGG/GFit algorithm (TCCON, CalTech). GFit was developed to evaluate ground-based FTS direct sun observations. The algorithm was modified to include the atmospheric column below the aircraft in order to work with the CARVE flight measurements. GFIT uses a single atmospheric vertical profile scaled to match the absorbed radiances for each target gas. The algorithm returns a scaling factor as well as its error estimate for each trace gas profile included in the retrieval, plus values for spectral shift, continuum offset and curvature, and other auxiliary parameters fitted to the observed radiances. Total column values for each gas are the product of the original column value reported by GFit and the retrieved scaling factor. Total column uncertainties are the product of the total column value and the algorithm error estimate. which is then scaled by an additional factor depending on whether XG is reported in ppm or ppb. Note: Error estimates reported in the product for total and dry air columns are solely based on the algorithm retrieval error. They underestimate the true error, since error sources like scene inhomogeneity and line spectroscopy have not been considered.